Closed Mondays) and check out the latest incarnation of this holiday tradition. 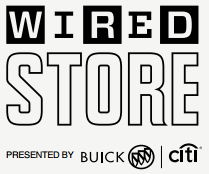 The Wired Store is putting a limited schedule of public events this year (just 2 in fact), but one them is a free night of music by Merge’s Hospitality on Dec 6. There is a second night of music on Dec 19 with a “surprise guest” headliner, but it’s an invite only gig. If you follow The Wired Insider on Tumblr, Twitter or Facebook, you might get the early heads up on who the headliner is and how to possibly score tickets. It’s also possible that our friends at MyFreeConcert will have the early scoop on this.